With more than 1 billion websites on the Internet today, and an additional 25 million cropping up each month, it can be easy for your business’ site to get lost online. So how do you find out how your website’s visibility stacks up against that of your competition? And what can you do to make sure your site’s performing as well as possible? Luckily, there are a number of freely available website graders that can help you do just that. After you’ve learned how to build a business website, use a website grader tool to find out if the website is employing industry best practices, primarily related to inbound marketing. Website graders identify any weaknesses on your site, so you can address them and create a better experience for your virtual visitors. The more efficiently your website performs, the greater the likelihood that those who land on it will convert from prospects into customers. Keywords - Are you properly using keywords on your website, and is your keyword strategy effective? Content - Is the text on your website readable and written at a level likely to attract your ideal customers? Structure - Does your website load quickly, and is it organized in a logical, user-friendly manner? Traffic - How many people visit your site, how are they getting there, and are they your ideal customers? Images – Do the graphics on your website match the copy, and is there an acceptable text-to-image ratio? Hubspot’s website grader helps locate weak spots in your site’s functionality, and identifies opportunities for customers to fall out of your purchase funnel. Just punch in your website’s URL and Hubspot will rank your site based on blog integration, social media strategy, SEO, lead generation, and mobile friendliness. Hubspot provides a checklist for each of those areas, and grades them according to how well they are implemented. Some of the elements that Hubspot’s Marketing Grader looks for are email signup forms, social sharing buttons, and a feed for RSS subscriptions. Owners of online stores can receive near-instant feedback on many aspects of their website by using a free grading tool provided by Shopify, one of the Net’s leading providers of e-commerce solutions. Shopify’s Store Grader analyzes sites for ease of use, quality of content, keyword optimization, social media integration, and more, without requiring you to be a Shopify user yourself. After running your website through the grader, you’ll receive a report telling you what’s working, what’s not, and what actions you should take. Shopify underscores the importance of two key factors found on most successful e-commerce stores: free shipping offers and the presence of a phone number. Free shipping deals are proven to boost conversion rates in online stores, and the inclusion of a phone number makes sites appear more legitimate and trustworthy. Store Grader removes the mystery of homepage optimization and helps you get as much traffic as possible from both search and social. The free tool from WooRank checks your website based on seven different metrics—SEO, mobile, usability, technologies, social, local, and traffic. Based on your site’s performance, WooRank will issue you a score between one and 100 along with a report you can share with your colleagues. The WooRank grader also takes a look at the value of keywords on your site and whether or not they appear in the most significant areas. 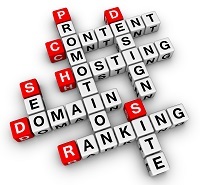 Generally, the five highest-ranking keywords should be included in your site’s title, description, and heading tag. WooRank quickly lets you know if this is true for your site. Which website grader is right for you? You could shell out thousands of dollars for an exhaustive analysis of your website, but for most small and medium-sized businesses, one of these tools will help you find your website grade at absolutely no charge. And there’s nothing stopping you from using all three of these graders, so it’s never been easier to find out the truth about your website. Build a business website the easy way.